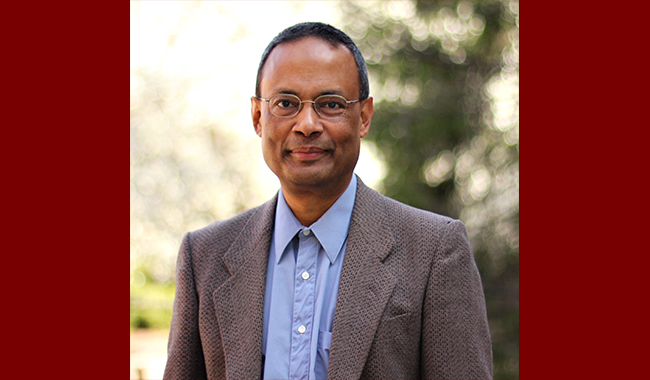 Sankar Das Sarma, Richard E. Prange Chair in Physics, Distinguished University Professor, Fellow of the Joint Quantum Institute, and Director of the Condensed Matter Theory Center. Das Sarma was also included in the two previous compilations: 2014 and 2001. Jeremy Selengut, associate research scientist, Center for Bioinformatics and Computational Biology in the University of Maryland Institute for Advanced Computer Studies. Selengut was also included in the 2014 list. Das Sarma’s research interests include condensed matter physics, statistical mechanics, and quantum information. A theoretical condensed matter physicist, Das Sarma has worked in the areas of strongly correlated materials, graphene, semiconductor physics, low-dimensional systems, topological matter, quantum Hall effect, nanoscience, spintronics, collective properties of ultra-cold atomic and molecular systems, optical lattice, many-body theory, Majorana fermion, and quantum computation. In 2005, Das Sarma, with colleagues Chetan Nayak and Michael Freedman of Microsoft Research, introduced the nu=5/2 topological qubit that led to experiments in building a fault-tolerant quantum computer based on two-dimensional semiconductor structures. Das Sarma, a physics faculty member at UMD since 1980, received his undergraduate degree in physics in 1973 from Presidency College in Kolkata, India and his Ph.D. in theoretical condensed physics in 1979 from Brown University.